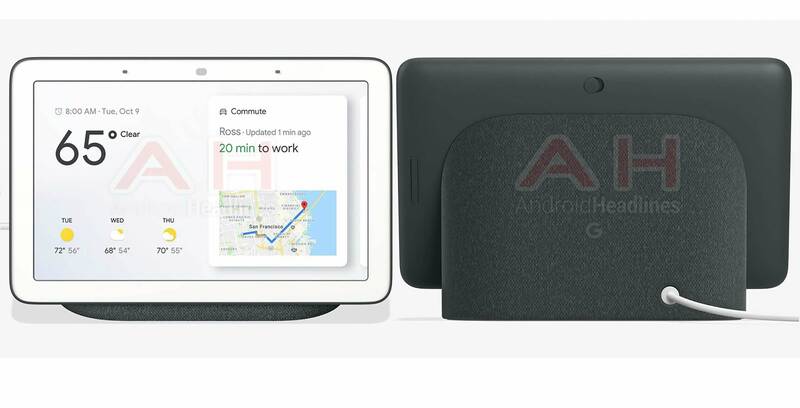 While images of Google’s upcoming Home Hub in white have leaked extensively, new images have now surfaced online of the device in a charcoal colour. AndroidHeadlines reports that it received the images from a reliable source. The charcoal colour matches the fabric finish of the Google Home Mini and Home Max. The rear of the Hub’s 7-inch tablet display is charcoal as well. With the Home Hub users can reportedly connect their Nest Cam to get video feed access. Reports also suggest that the Hub features Google Photos integrations, and can control Bluetooth connected speakers. The Home Hub should also work like any other Google Assistant device so users can ask it questions and receive calendar information as well as weather details. According to AndroidHeadlines, the Hub might retail around $149 USD ($194 CAD), though that seems unlikely, considering there would be a $15 price difference between it and the Google’s 2016 Home smart speaker. With Google selling its Home, Home Max and Home Mini smart speakers in Canada, it’s likely that it will sell the Home Hub here as well. Google will likely unveil the Home Hub at its fall hardware event on October 9th, alongside two Pixel smartphones, two Pixelbooks and new Pixel Stand.